Absent holding the Las Vegas “Route 91Harvest” country music festival in a different venue, there is likely nothing event planners could have done to prevent the horrific mass shooting that killed 58 and injured more than 500 last month. Of course, such thoughts of venue change would usually only arise through hindsight. The Oct. 1 attack comes on the relative recent heels of other major attacks—Ariana Grande concert bombing, Boston Marathon Bombing, Bataclan Theatre (Paris) shooting/suicide-bombing—targeting large crowds at entertainment events. Such terrorist attacks had already pushed the issue of event security to center stage in event planning worldwide, but now event planners and event safety specialists might need to further up their strategizing. The question we must ask though, before moving ahead is: Where does the boundary of responsibility lie between concert promoters and the local police department? Is it the entrance of the venue or is it an integrated process where the promoter and local enforcement collaborate on external security measures as well? Worldwide, security measures targeting bombers and shooters is widely inconsistent and measures taken by event promoters and venues varies widely. Big name events, such as the Super Bowl, Olympics and other major sporting events have long been relying on walk-through metal detectors, bomb-sniffing dogs, restrictions on—or searches of—what people can bring into such events, and other security measures. Likewise, the numbers of security personnel, from private guards to government security and law enforcement, at such events has risen dramatically. Smaller venues and events in the U.S. have been increasing their pre-screening security in the past few years, with hand-held metal detectors now common and the use of walk-through metal detectors increasing rapidly. Event promoter Anschutz Entertainment Group (AEG) is installing walk-through metal detectors in all of its 100 or so concert and sports venues worldwide. In an interview last year, Brent Fedrizzi, AEG Live Rocky Mountains co-president and COO, said he believes that the use of metal detectors will soon become a mandate for all U.S. sports and music venues. In the wake of rising terrorism, Asian countries have also been stepping up event security in recent years. vibrancy or discouraging people from attending events. While China and Hong Kong have long proven to be relatively safe venues for concerts and other events, they have also stepped up security measures in response to terrorism. Following the Ariana Grande concert bombing, Hong Kong’s AsiaWorld-Expo Convention and Exhibition Centre announced that it was stepping up security for all future concerts. Along with walkthrough metal detector screening, venue officials said that it will require concert attendees to wear security strap tracking devices and was considering enhanced use of bomb sniffing dogs. Without naming specifics, the Mall of Asia Arena in Manila also announced enhanced security measures going forward; however, a spokesperson for the arena noted that their security was always stepped up for big concert crowds. Enhanced security undoubtedly reduces risk, but loopholes will always remain and outdoor venues are susceptible to attacks from beyond a venue’s security perimeter, as was made clear by the Las Vegas festival shooting. And it’s not only a crazed gunman shooting from afar that event security need to be concerned with—aerial attacks have always been a distinct threat, whether by private aircraft, or, these days, a simple drone. Fortunately, such airborne threats have only played out in the movies, and those of you old enough will know that I’m referring to the 1977 movie “Black Sunday,” in which terrorists attempt to crash a bomb-laden Goodyear Blimp into the Superbowl. But what of a drone? Well, their small size likely limits their ability to inflict mass casualties at any scale. However, drones are likely going to play an increasingly bigger role in overall event security, especially for those events taking place in outdoor venues. Drones would seem to be A perfect tool for keeping tabs on crowds, and governments around the world are struggling to develop drone usage regulations, which often means finding a balance between personal privacy and public safety. To date, drone usage at outdoor events seems to be more commercially related than as a security measure, but we expect that to change as government rule-making catches up to the technology. 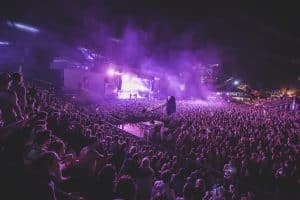 The issue of security at concerts, festivals and similar events will undoubtedly remain highly important going forward, and Pinnacle Live Concepts will continue to examine it in future blogs. It’s often an indication of how healthy an industry is by the number of people wanting to involve themselves with it. Not only does that apply to the amount of people, but to the type of people as well. And it couldn’t be truer when it comes to sponsorship in the live events industry in Asia now. Regardless of the type of event; festivals, concerts or sports and regardless of the celebrity talent involved, sponsors were tight pocketed in the past. A few years back, the only businesses who were willing to put their Dollar, Yuan, Peso, Won, Rupee or Yen where other people’s mouths were, were the telecom giants and the ubiquitous beer and beverage brands. Today things are very different—and there are a couple of reasons why. To put this all into perspective, let’s first look at how much companies spend in sponsorship. From 2012 to 2016, based on IEG’s annual reports, the average growth of sponsorship spending rose on an average of +4%, with 2015 and 2016 tallying to roughly $57.5Bln and $60.1Bln USD — and we are looking at an anticipated rise of 4.5% in 2017. In North America alone, the sponsorship spend was $21.4Bln and $22.3Bln USD, about 37% of total global spend with a rise of roughly 4.2% for 2016. In Asia Pacific, the year over year rise has been leading the pack. From 2015 to 2016, a 5.7% rise accounted for $14.8Bln USD sponsorship spending, with an estimated 5.8% rise upcoming for year-end. There is no doubt that strong domestic spending by globalized Asia Pacific brands like Samsung, Huawei, HTC and others, have played its role in developing this trend. According to a PwC special report, China, India, Indonesia and Mexico are the next big emerging markets, followed by Nigeria, Saudi Arabia and the Philippines on the long-term radar. In terms of spending in the live events industry, the breakdown of the global sponsorship spend is a good chunk of the total. In North America, roughly 14% of the overall sponsorship spend is spent on entertainment including, festivals, fairs, and other annual community events. This trend seems to be prevalent in Asia Pacific as well. Speaking of music in Asia, the rise in popularity across the continent of the international/regional live music scene has been remarkable, with every country seeing steady growth not just in the number of events being held, but in the revenue made from them. According to Ministry of Culture figures, there were 2,500 concerts in Taiwan in 2012 alone, earning a total of NT$4.08 billion. In the three years since then, concert revenues in the country have increased by an average of 39%. 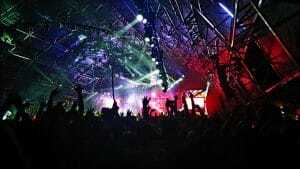 In Thailand, the revenue from live music in 2009 was $103 million. That had increased to $124 million by 2013 and is expected to hit $167 million by 2018. It is a similar story throughout the region, as local bands are putting more effort into live shows and regional tours—a symptom of the falling revenue from album sales. The shift from a hands-on product from CD sales to the live product has allowed brands to capitalize on the business from all aspects; it has given brands the opportunity to partner with their market directly in an “indirect” endorsement per se. This is only the tip of the iceberg: sponsors are seeing that growth in Asia has only begun. The largest consumers in the world will eventually come from the East, and it’s about time for brands to capture their foothold before someone else does. With 98% of sponsors using social media, it is no surprise that social sharing and social media-based engagement is top priority for companies. Whether or not it is purely for data driven collections or community based building, the importance of social media is an indicator that sponsors seek connectivity. With that, technology has sponsors seeking VOD, VR and streaming properties. Suddenly, a live event is not only for those with a ticket to see, but for anyone who has access to the Internet. 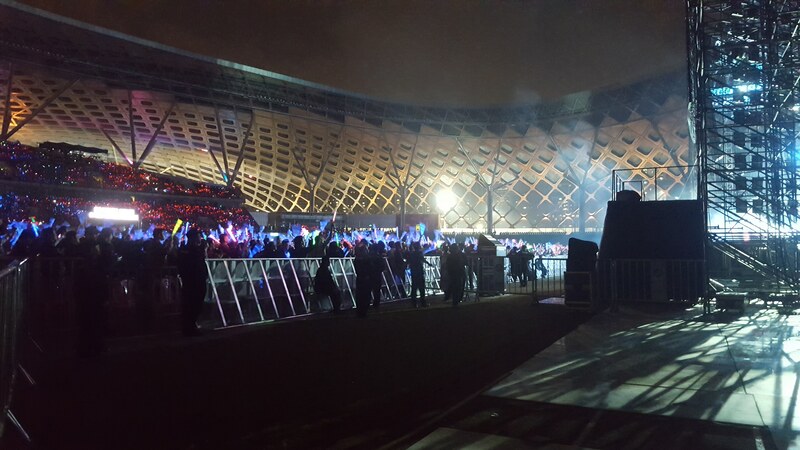 In 2014, Chinese video and movie streaming site LeTV streamed rocker Wang Feng’s concert to 75,000 paying customers in just 2 days. There is no surprise then that IFPI’s Global Music Report 2017 has made special mention about the phenome of the streaming potential of the Chinese population of 1.36bln – untapping a once frivolous market. 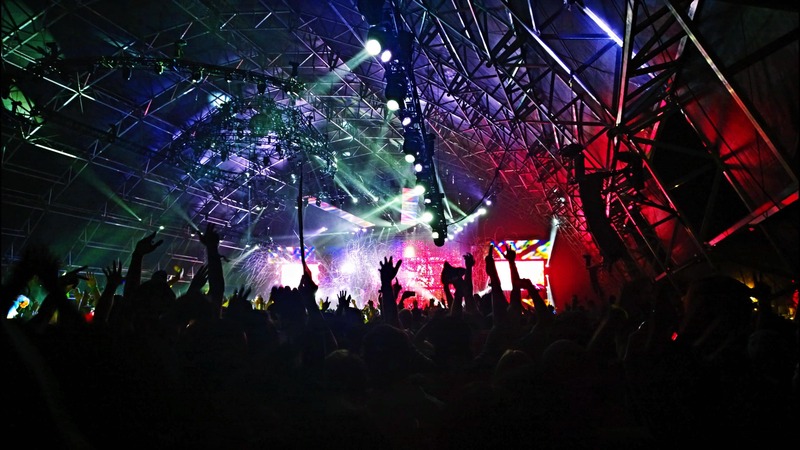 In recent, new techy ticketing platforms, such as Eventbrite, PouchNation and Ticketflap have utilized the use of RFID and NFC wristbands and integrated the use of social sharing and social media platforms like WeChat and Facebook into their systems – further integrating social media and allowing advertisers to connect more directly to their demographics. Now, with the infrastructure in place, sponsors and promoters team up with platforms such as WeChat, Twitter, Instagram, Snapchat to generate worldwide buzz with a simple click of a button before a ticket is even sold. Instead of having your company brand logo on a billboard or on official merchandise, music event sponsorship is now an immersive “data gathering” experience, and one that can last the whole year globally. If done correctly, a company sponsoring a property can interact with a very specific and targeted demographic like never before. It is no longer just visual recognition for a brand, it is about becoming an active community with the brand. This allows affinity for the brand to grow from a grassroots/lifestyle level, maximizing each dollar and allowing multiple touch points that can be subtle and non-intrusive. Aside from on-site activities, there is a very real chance for sponsors to play an active part, whether it be hosting a pre or after-party, or simply supplying additional benefits for the attendees. They can offer backstage passes, exclusive merchandise — real, tangible, and memorable experiences that will be highly sought-after and talked about for years to come. Imagine viral footages of celebrities such as Taylor Swift delivering a back-stage package to a group of awestruck tweeners or Kanye showing up at a show unannounced and hanging out with the crowd—it’ll easily set social media ablaze and have global exposure within minutes. That is why, looking around festival sites today, or watching a headline act on television, you quickly realize that everyone from tech companies to clothing brands, banks to insurance companies are all making their presence known. By sponsoring a live event (at least when you do it correctly), you are not only bringing brand awareness to potentially millions of people, but also having the control over people’s perception of your brand forever. Music is a universal passion shared amongst community—why not associate your brand with that passion? Is it really that black and white? Regardless of all the effort that goes into the brand, promotion, F&B stalls that you personally handpicked, that giant inflatable rubber ducky you had installed, and the dozens of other artists on your roster—the entire success of your music festival rests on the headliner? In many ways, the answer is yes. The headliner can make the event a success as much as it can make it a flop. Such is especially true for a new or not yet established festival. No matter what you think, the fact is, the headliner defines the festival. It is the news worthy topic. Case in point: whenever the headliner is announced for Glastonbury, it makes front-page news in British mainstream media. The headliner is the anchor of your festival—the main reason other acts sign up to perform (usually for a reduced fee if not free). It is what will draw more curiosity to your festival and make people delve down deeper into the other acts. On the flip side, it is also what will stop people from doing just that. If the main act is not the right embodiment of your festival brand, it will not resonate to your audience and will lead them to look elsewhere. Sure, the festival draws music fans into forming a community, but the prestige and draw of the headliner is the ultimate deciding factor for the fans (unless of course, you’ve become a formidable brand such as Coachella, and people just can’t not attend your festival). While it’s true that you can’t cater to everyone (because hey, music preferences vary), your headliner needs to reflect your festival’s identity. There is no such thing as a bad act (Nickleback aside), just a bad headline act for your festival. Choose the wrong band further down the bill, and no one is going to be overly concerned. Commit that mistake for the headline, and you would have derailed the whole festival. Just imagine hiring Justin Bieber as a headliner for a festival full of heavy metal fans—his blood will be on your hands. So how exactly do you find the headliner that is right for you? WHAT do you want your brand to become? If your expertise is country music, and your audience is into country, it’s probably not the best idea to do a hip-hop festival. You’d be surprised how often this simple, logical, miscalculation leads to trouble. WHERE are you planning to hold the festivals? Is it in a baseball field, a racetrack, out in the countryside with no infrastructure, or is in city center? WHEN are you planning on having it? Another thing to consider are your existing relationships to sponsors and the media—how can you leverage them for your brand? If Coca-Cola is one of your title sponsors, it maybe best not to hire Beyonce as your headliner. Let me share two personal experiences as examples. The Philippines, a highly Westernized country, has started a music festival uptrend. In its height, I was involved in two development festivals, one in 2014 and another in 2016, and a number of others (though in a more curatorial role). The scopes for the two festivals were very much similar: scope the largest music market possible. One was within the city centre of Manila in 2016, with a Top 40 line-up and a brand persona that demanded everyone’s full, undivided attention. This was one brand that wanted to be heard, one that was commercially competitive and very millennial, to say the least. The headline options listed down on paper after the first brainstorming meeting with the clients would have made Billboard proud. The other was out in a provincial city in 2014, nearly two hours away from the Metro. Initially, the provincial city posed a few problems logistically, but in the end, it turned out to be more of a pro than a con for the festival. We had to find an appropriate headliner that suited the Westernized market, one that would convince people from the city to travel two hours and stay for the weekend. There were many contenders for the headline, but finally, we decided on a legendary band that was rumoured to go to the Philippines for years but never made it—at least up until we brought them in. Had we chosen a pop act for this festival, there would have been a number of issues. Transportation, financial capabilities, music market, PR spin, rumours (yes, you read that right), and of course, the audience’s emotional connection to the headliner, were some things we had to take into consideration in order to make the festival a success. In the end, both festivals turned out to be a success in their own right. The headliners played pinnacle roles in establishing the brands and one of which will be having a second run . Oh, in case you were wondering whom we brought in, it was Kanye West for Paradise International Music Festival in 2016 and Red Hot Chili Peppers for the 7107 International Music Festival in 2014. To start, you must have a clear vision of what your festival is. You must know whom you’re trying to appeal to, what your price points are, and if your target demographic can actually afford it. You also would want to think about what sort of media coverage you want to attain, and what angles to pitch. More than likely, it will be aimed at a certain type of music fans. Naturally, the more types you can reach out to, the more likely you will have a success on your hands. But on the other hand, by going too wide, by trying to reach out to too many different types of fans, and too many genres, you run the risk of trying to provide something for everyone, and in the end pleasing no one and just over-running your budget. You’ve got to make sure your line-up is cohesive and programmed correctly in the end. Music fans that overlap, tend to hit it big—hybrid genres tend to work for the millennials. Music is incredibly polarising, probably more so than anything else that is bought and sold. According to a Repucom Live Music Sponsorship report, globally 26% of music fans actively dislike heavy metal or heavy rock music. That’s a quarter of your potential market. The same report puts the figures for those disliking rock at 7% and pop at 4%. Simply put, some genres mix, others just don’t. That is on a global scale. Your festival needs to be approached at a local level, so drill down into local figures, ones that are representative of where you are putting your show on. 51% of Japanese music lovers for example, prefer pop music to all other genres, and of all the countries surveyed came out lowest when it came to electronic music; this can be proven by looking at the line-up of a Fuji Rocks or a Summer Sonic festival. The US was the only country where rock was the most popular (with 58% stating it was their preferred genre)—an Austin City Limits perhaps? If you were putting a festival up in Paris however, you would need to know that the French love electronic/dance music more than anyone else. Similarly, more than 2/3 of US and UK music fans love indie or alternative bands. Glastonbury, Coachella, Lollapalooza are great examples of that fact. That phrase in itself is open to interpretation. REM and Coldplay both fell into that category, and went on to be two of the biggest grossing bands in the world. The picture gets even more complicated however, when you consider another statistic. The UK is the global leader when it comes to festivals, but even there the number of foreign tourists attending that outnumber both locals and domestic tourists by more than 2 to 1. But is that a case of pandering to the foreign market? Or more a case of the domestic offering being so strong, that people are willing to travel for it? The latter is almost certainly the case in the UK, the US and to a certain extent, Europe, but not so much in Asia. In China for example, festivals there need to think localisation for success. There, to get a crowd to attend, the local audience would demand both local and foreign artists performing, and visitors from the West would be looking for an alternative experience to what to them, are cookie-cutter festivals around Europe and the States. At the end of the day, after considering all the variables and your market and audience, there are always options for headliners, and ways to creatively manage a line-up. The importance of the headliner needs to be balanced with practicality and priority with the festival. You wouldn’t launch a new product into a country without knowing the consumer habits of the population, so why on earth would you do it for a festival? So do your research! With the amount of money that is put into mounting a festival, you’ve got to do it right. If you don’t know where to begin, simply seek help from one of the specialized firms like mine (wink wink) that specialize in these things.